The process of making pellets to be used as fuels cells in either boilers or pellet stoves involves the use of a wood pelletizer. This machine also known as a wood pellet mill is specially made to turn biomass such as wood shavings, grass and straws into pellets. But how exactly do these machines work? This is the general overview of the workings of a wood mill. First of all, the dried biomass goes into the wood pellet mill and it is passed through perforated pressure plates. The biomass is compressed between these two plates and it comes out through the perforated plate. This is where the pellets get their cylindrical shape as well as their compact nature. This is a very general overview of how a wood pelletizer works. There are other processes that go inside the wood pellet mill leading to the production of pellets of course. But the process does not end here. The newly made pellets are supposed to be cooled down before they are stored or packaged to prevent them from crumbling. 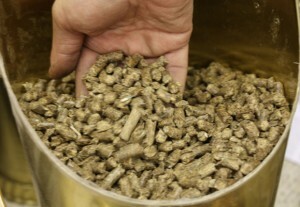 Small pellet millsare becoming an increasingly common feature in many homes nowadays. The ever increasing gas prices as well as the high cost of electricity are forcing home owners to seek out alternative sources of fuel to use in their homes. Currently wood pellets are the favored fuel cells in the home, providing a viable and cheaper alternative to the traditional energy sources. The main reason that pellets are these cheap is twofold. First of all, pellets are easy to make. The raw materials used to make pellets are easily available. In fact materials necessary to make pellets can be collected from just about anywhere. Hence the price of pellets tends to stay under the inflation radar. But this is not the only reason as to why pellet prices are low. Companies in the industrial market are now offering small compact pellet mills that home owners can use in their homes to make their very own pellets. A small pellet mill is making it possible for home owners to make their own pellet fuel cells making them self-reliant and free from any energy contracts. 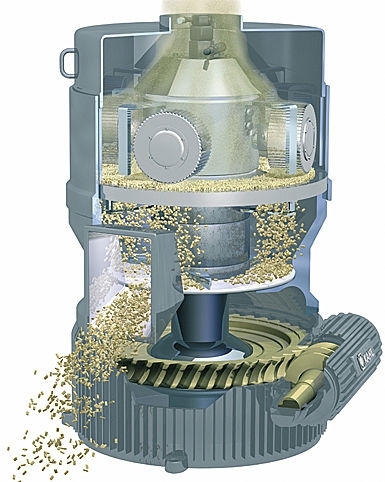 Liberating the home owner from having to pay gas and electricity bills as well as giving them the power to take charge of their own fuel needs has made pellet mills a very popular option. But there are a few things that home owners forget when they are using a small pellet mill to satisfy their energy needs. Using this mill requires you to have a little knowledge as to the whole pellet manufacture process. You need to know how to dry the biomass before putting it into the mill and also how to cool the pellets once they are formed so as to avoid them crumbling. The cost of fuel has been escalating day by day. As we know fuel is an important commodity in our lives and without it most of our daily acts will not go on well. Due to the rising cost of oil people are shifting to wood pellets because of their many pros. But why are these pellets becoming so popular among most homes and industries? Read on. The first issue is the ecological aspect. The pellets do not emit any dangerous smoke to the environment. The world is trying to go green and one of the aspects is to reduce pollution. The wood pellets are also affordable and reliable. The cost of the machine and raw materials is very low. A machine can make pellets sufficient enough for a whole season. The raw materials are wood dust and this can be readily available in most localities. The machine last long and the pellets also burn for long periods without getting exhausted. What else could you need rather than getting constant fuel all year round and at reasonable price? These are some of the benefits you shall enjoy if you use this source of fuel. The pellets are also easy to use and they are not affected by the effect of rising oil prices. Unlike most oil products, this source of fuel will make sure that you get the best fuel and at a constant price. Their prices will help you make a constant budget in terms of fuel and will prevent the effect of fluctuations to your spending. This is an ideal source of fuel that ought to be embraced by most households and industries. The name of the machine that will be used in order to properly press pellets is pellet press. A pellet will be a small cylinder that is made out of various possible materials and can come in various diameters and lengths. They can be used for different purposes and you can gain many possible advantages from having them created. The pellet presses work in a very simple fashion. They will take the raw materials and they will increase bulk densities. In most situations a factor of 10 is going to be used. This basically means that the area that would be covered by the raw material is reduced 10 times and arranged in a cylindrical shape. The press will increase bulk density in order to make it really easy to store and transport the material that is modified. This will reduce all the associated transport costs while making boats and lorries numbers much smaller. Storage space required is going to be minimized and the bottom line is that you are going to end up with a higher profit. Nowadays we have noticed that people are starting to become more environmentally aware. They are starting to turn their attention to alternative fuels like wood pellets. The pellet pressesare thus required and this allowed manufacturers to invest more money into creating the perfect presses. The technology that is used today is much more advanced than what we saw in the past. For instance, the density at which wood can be pressed is higher and this is something that is of real interest for everyone involved in this business. When you are going to purchase a press you have to make sure that you make a proper investment. This basically means that you need to spend enough time in researching all the options that you have available. Read reviews and see what buyers say about the items that you are considering purchasing. It is crucial that you do this so that your investment is going to bring in the most advantages possible. Such a machine can make you a lot of money for many years to come. For you to start making your own pellets there are various principles that you will need to know about. This is in regard to the size of particles, moisture content, and the variety of raw material that you can use. Moisture content: The moisture content of the raw materials ought to be kept at level that are lower than 16%. In order to make high quality pellets, mechanical force ought to be used for the unrefined materials to bond. If the moisture content of the materials is high, then the quality of the pellets will be poor. Additionally, when there is friction between the pellets heat is produced and if the temperature within the pellets exceeds the 90o C the moisture in the pellets will begin being gaseous. 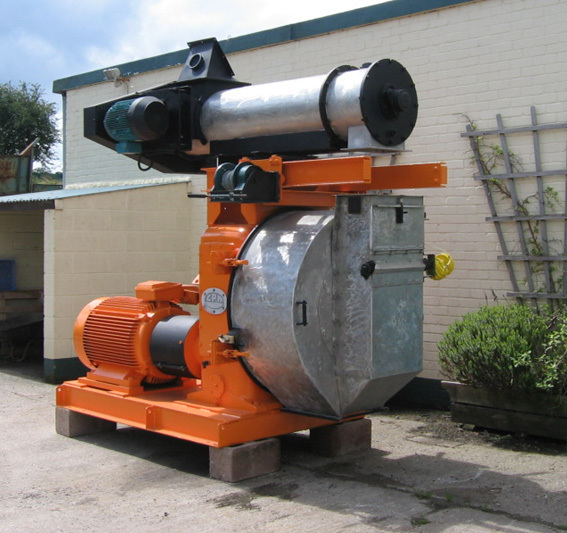 Size of the Particles:A hammer mill should be used to crush raw material into a uniform size before being fed into the pellet press. Wood shaving can cause blockages on the feed machines, whereas larger blocks can also make a pellet machine to have mechanical breakdown. 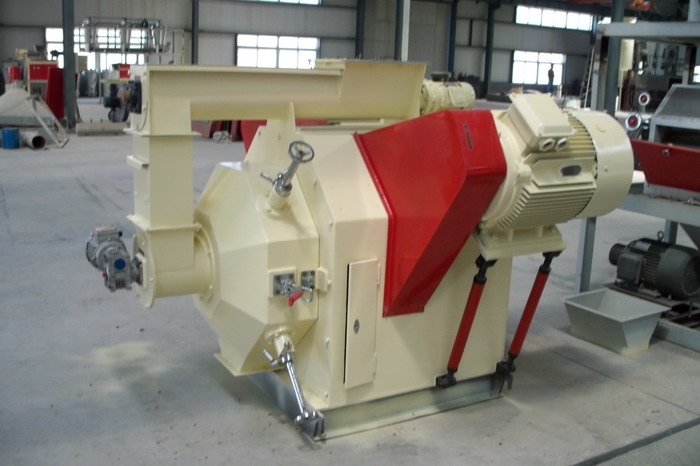 When pelleting reeds or straws, they foremost ought to be sliced to a point where they will flow freely and onto the hammer mill. Variety of Raw materials: The most commonly used raw materials for making pellets are wood chipping and other form of biomass. The materials you use will depend on what kind of pellets you are making. Before venturing into making your own pellets either for your own use or for sale, you must understand how the pellet making process works. 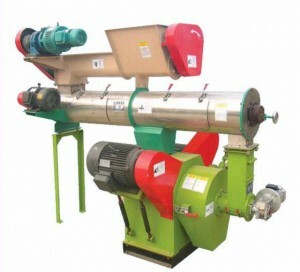 To start with, you will have to choose a pellet mill that you will use for making your pellets. 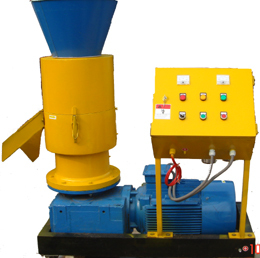 Many factors will guide you in selecting the ideal pellet-making machine for you. It is imperative that you do adequate research before buying a pellet-making machine, since the machine that you choose is what will determine the amount of work that will be done on a daily basis, the costs that you will incur, and the quality of pellets that you get. The internet, magazines, newsletters, and physical stores are some of the sources that you can use to compare the different types of pellet machines that are available in the market. However, the internet is the most convenient and economical source of information, because you can do your research from the comfort of your home or office. In your research, you should keep your eye out on various factors that will assist you in choosing the ideal pellet machine. First, you should be keen on the prices. This is the most important factor since you must only select a machine that is within your budget. Anyone who is contemplating venturing into pellet production must first understand what the venture entails. Among the important aspects that one must understand is what the whole production process entails, the raw materials that are required, where to source these raw materials, the quality control process, the products and by-products if any, and most importantly, the kind of pellet machine that is needed. The pellet machine that you choose is what will determine the amount of work that will be done on a daily basis, the costs that you will incur, and the quality of pellets that you get. Therefore, it is imperative that you do adequate research before buying a machine. The various sources that you can use to compare the different types of pellet machines that are in the market before settling on one or two for consideration include the internet, magazines, newsletters and physical stores. The internet is the best source for doing your research since you will not be required to move from dealer to dealers looking at the various models that are in stock. In your comparison, you should keep your eye out on various factors that will assist you in choosing the ideal pellet machine. First, you should be keen on the prices. This is the most important factor since you must only select a machine that is within your budget. Apart from the cost of buying, you should also consider the cost and availability of spares. This is normally referred to as the cost of operation, which must be within your means. 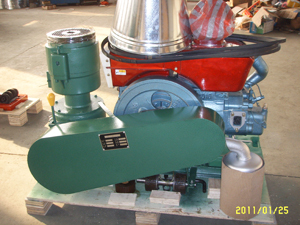 Other factors include the capacity of the machine in terms of output and power consumption. You should only opt for a machine whose production capacity meets your requirements, and the power consumption is economical. After considering these factors and settling on the best options, then you may consider other minor factors such as the manufacturer, or brand of pellet machine.